The indicator uses the Chester W. Keltner's channel calculation method, modified by the well-known trader Linda Raschke. Due to the modification, the calculated channel contains a much more complete overview of the price movements, which allows increasing the probability of an accurate prediction of the upcoming price movement. Unlike the classic Keltner method, the base line of the channel is plotted based on the Exponential Moving Average, and the Average True Range is used to calculate the upper and lower lines. Depending on the settings, the indicator can be applied to implement various strategies for trading within a channel, trading channel boundaries, etc. The indicator can be used independently or in combination with other technical analysis tools, in manual trading and in development of automated trading systems. 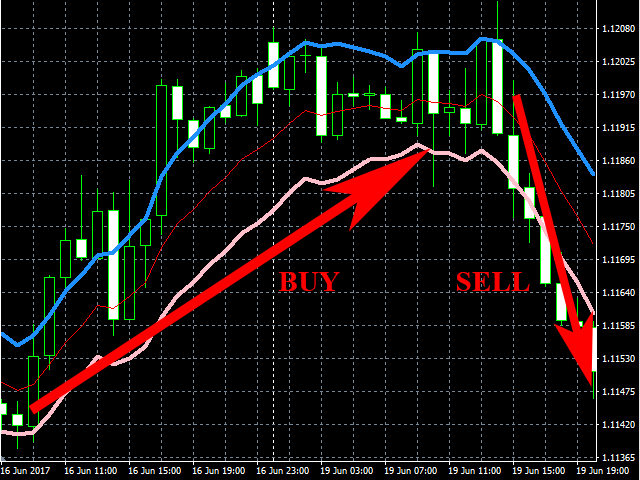 Keltner Raschke Channel trading robot. The base line is calculated as exponential moving average using the Close prices. The Average True Range (ATR) is calculated as the function of High and Low, as well as the Close price of the current period. The upper line of the channel is the sum of the base line and ATR. The lower line of the channel is the difference of the base line and ATR. 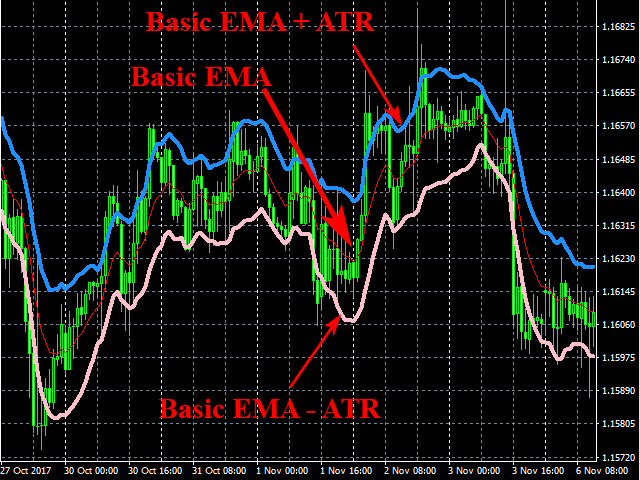 Period of the basic EMA - calculation period of the base moving average, (5...30). Period of the average true range - calculation period of the Average True Range (ATR), (5...30). Coefficient of the channel width - coefficient of channel width, (0.1...3.0). The default parameters are optimized for use in the Keltner Raschke Channel Expert Advisor on the EURUSD currency pair and H1 timeframe when using intrachannel trading.